Special events for the entire family are scheduled throughout the summer. They include a community Shabbat dinner, pajama dance party, late nights, family barbeque, Sunday Funday, and camper/parents sports playoff. Our detailed event calendars and camp newspapers keep you abreast of all your children’s activities. 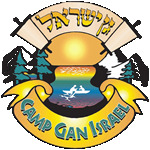 Gan Israel holds regular "trip days" which include theme parks, nature hiking, ice skating and more. These exciting adventures allow our children to really show their true CGI spirit. Camp Gan Israel is extremely proud of its swimming program where all activities are supervised by certified Red Cross lifeguards. The children cool off by going swimming every day that is not a trip day. Extra staff will accompany campers. Air conditioned buses are used for all long trips.